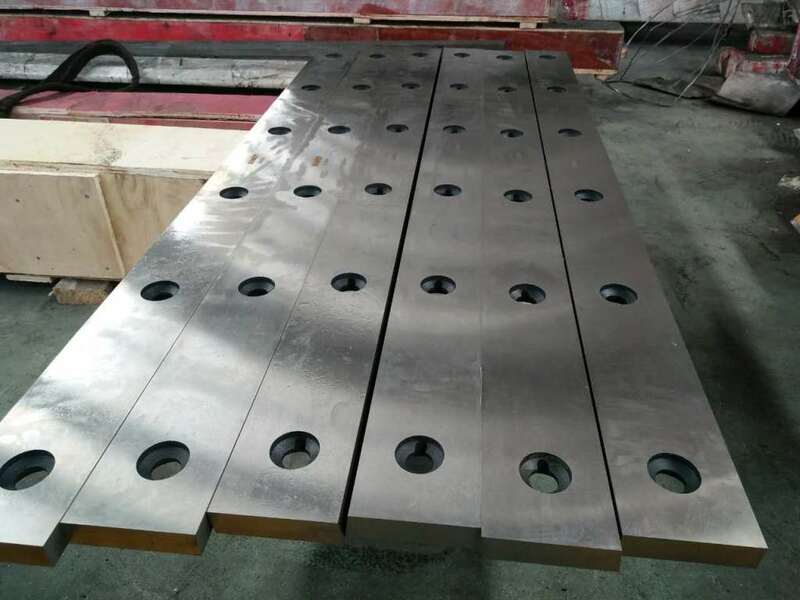 The shear blade is widely used to cut straight edges of the plate blank in the metal processing industry. It can be divided into the movable upper and stationary lower blades, and generally can be made of T10, 9CrSi, 6Crw2Si, alloy steel, and other types of materials. For the flying shear knife, it is commonly used to cut the iron plate, steel pipe, paper roll, and other materials. This product is provided with high quality and diverse types, such as double length, start and stop, disk and other styles. Cutting problems will be frequently found in the conversion and production of steel and non-ferrous metal. Now we have the ability to solve these problems. We select the most suitable materials, and conduct the necessary heat treatment and high-precision machining to produce high-quality products. The advanced technology, modern equipment, rich experience, and rationalized production allow us to meet all of the challenges raised by market. We also strengthen international cooperation and exchanges, in order to continuously improve the processing standards of our shear blade. As a specialized shear blade manufacturer and supplier in China, BOKAI offers a broad range of products, including slitter knife, shaped machine knife, plastic cutting knife, paper making machine knife, and more.